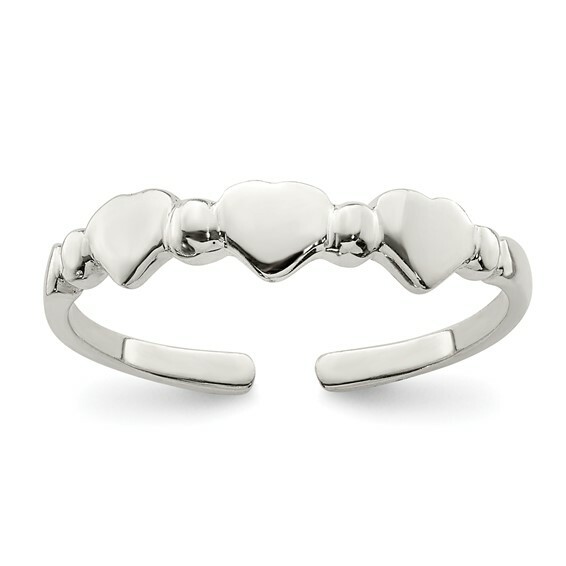 Sterling silver toe ring features three hearts. Weight: 1 gram. One size fits most.